DESCRIPTION Welcome to Sanderson Ridge! 40+ adult living at its best! Premiere location, this unit is overlooking Fish Creek Park with stunning views right from your private balcony. Spacious open concept 2 bedroom floor plan sparing no details on the high end finishing. 9 ft ceilings, wide plank hardwood floors, gourmet kitchen w/quartz countertops, full height cabinetry w/glass tiled back splash, under mount sinks, top of the line appliance package incl washer and dryer, 2 luxurious bathrooms, master bath with his & her sinks, full tiled walk-in shower, second bath has tub w/glass doors, California closets, upgraded baseboards and casings! Unit includes 2 underground parking stalls and storage. Enjoy your life of leisure with the many amenities here - Movie theatre, games room, car wash, wine cellar, woodworking shop, swimming pool, hot tub, fitness centre, party room, guest suites and much more! GST included in Price. Home for sale at #1116 2330 Fish Creek Bv Sw Calgary, Alberts T2Y 0L1. 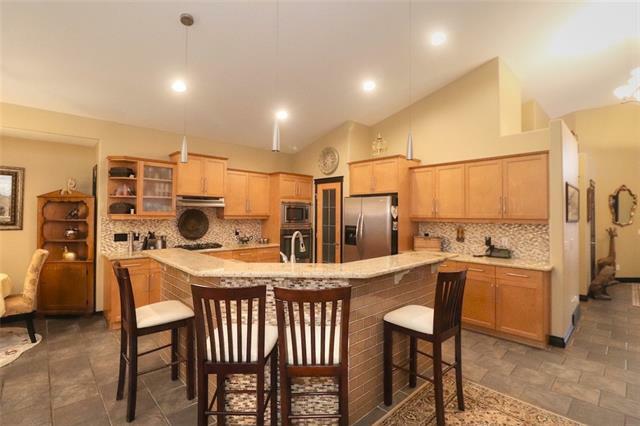 Description: The home at #1116 2330 Fish Creek Bv Sw Calgary, Alberta T2Y 0L1 with the MLS® Number C4197573 is currently listed at $788,445.